In 1986 a Korean passenger plane was shot down by a Soviet fighter after the passenger plane accidentally went off course and violated Soviet airspace. The passenger plane was lost due to insufficient navigational tools. Realizing the tragedy could have been prevented, President Reagan made the U.S. Global Positioning System available to everyone. The catch: The signal was scrambled so that the accuracy of the GPS signal was reduced to about 100 meters. It was, after all, proprietary military technology. In the year 2000, President Bill Clinton signed a bill to remove the last of the scrambling, effectively opening up the technology of global positioning to everyone. As a result, the positioning systems have become drastically more accurate, and everyone with a smartphone could have a precise map with them at all times. But like all things, if it didn’t exist before, and there is a good chance it might not exist again. Additionally, just because it’s convenient doesn’t mean it should always be relied upon. If your gear gets soaked or stolen, or your battery runs out, or if you find yourself in a black hole where digital signals aren’t able to reach, would you know how to find your way home? The ancients crossed oceans with little more than the stars to guide them, which means you can find your way back to the right highway or trailhead without difficulty. 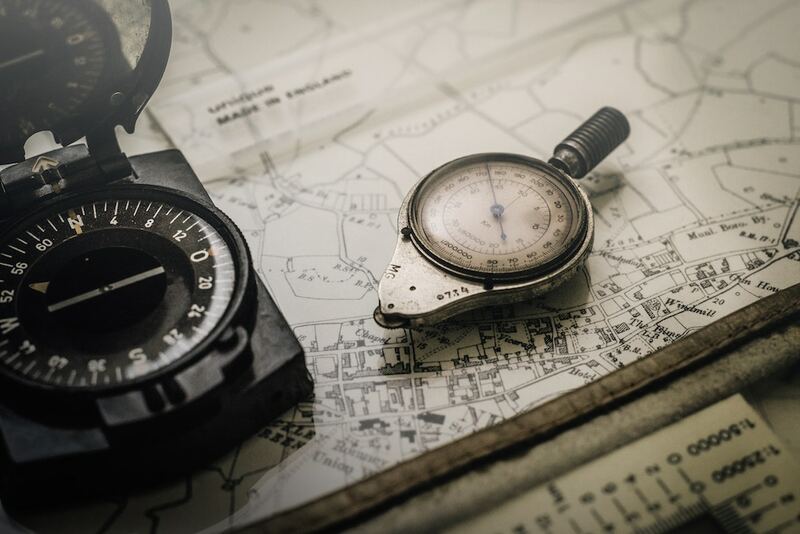 When it comes to analog navigation, three mainstay objects that will help get you to where you want to be are: Landmarks, maps, and compasses. Individually, each of these items can be used to gain a general idea of where you are. Used together, these tools will put you back on the map. A compass has one purpose: To tell you what direction you are pointing in. On its own, a compass will not tell you where you are or where to go. Many modern compasses look about the same. A baseplate, a rotating bezel, a magnetized needle floating inside the housing. Then you will find a bunch of numbers, scales, and other reference points that may confuse you. Here’s an image to refer to as you read on. First and foremost, get away from the hood of your car. A compass relies on magnetism, and the large, steel structure of your vehicle can affect the accuracy of your bearings. 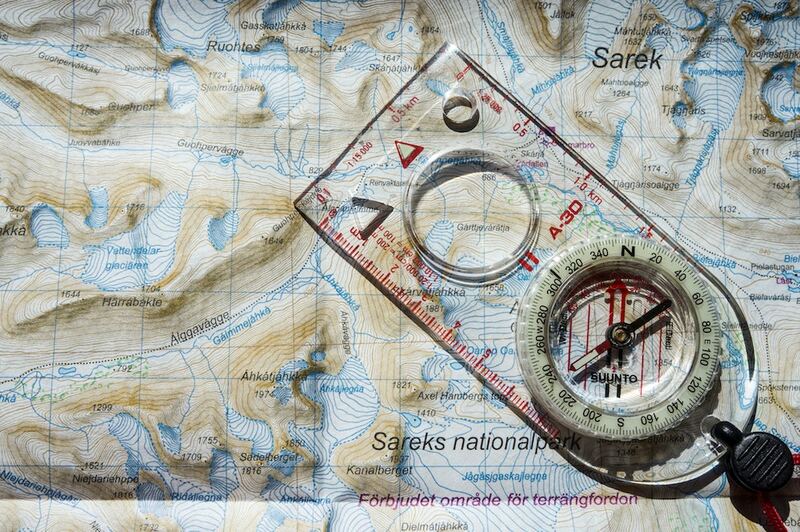 Keeping a distance from any metal while using a compass to ensure accuracy in your navigation. Calibrate your compass to your map. Maps are drawn to true north. Your compass will always point to magnetic north. Depending on where you are, the difference between the two can be anywhere from 2 to 20 degrees. This is called magnetic declination. You can usually find the declination reference symbol near the legend of most maps. 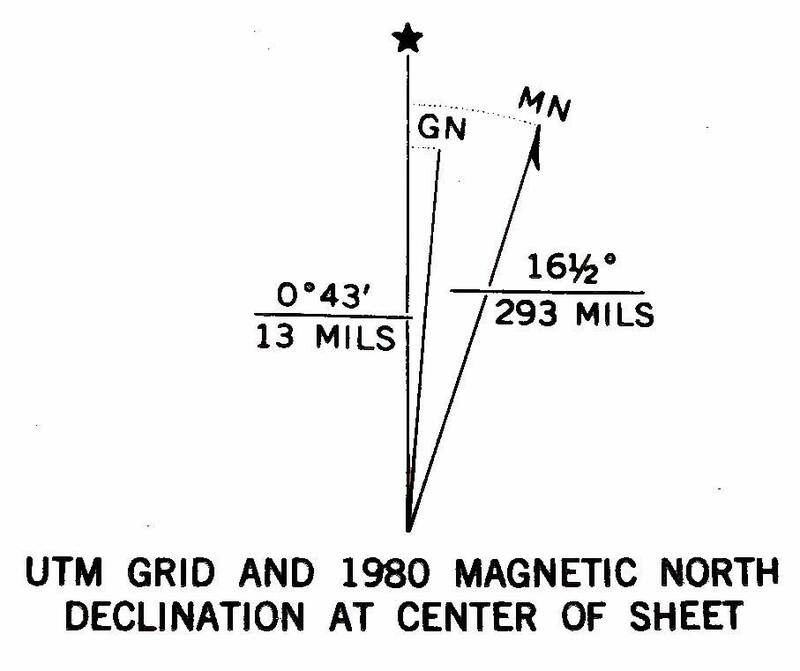 As you progress through orienting your map and finding your way, keep in mind the amount of magnetic declination that is referenced on your map and calibrate your readings to it. The diagram below is indicating 16.5 degrees of declination. A map is only useful if it is in the same direction as the landscape it represents. Fortunately, orienting a map is as simple as lining everything up. Set the compass on the map so the direction of travel arrow points at the top of the map. Rotate the bezel so that “N” lines up with the direction of travel. Now move the map and compass together until the needle is within the red housing inside the dial. Triangulation is the ability to find out your general direction by using your map, compass, and identifiable landmarks. Mountains and other natural features are ideal landmarks as they aren’t susceptible to change over time. Be sure that the landmarks you choose are also featured somewhere on your map. Line up the direction of travel arrow with the landmark. Rotate the bezel until the red arrow houses the magnetic needle. On your still-oriented map, place the upper corner of the compass baseplate on the map where the landmark is located. Then turn the whole compass until the N and orientation lines line up with the North/South of the map. Draw a line down the edge of the baseplate. Repeat the process one or two more times with additional landmarks that you can find. The three lines you have drawn on the map should intersect in a small triangular area. If done correctly, you are somewhere within this triangle. 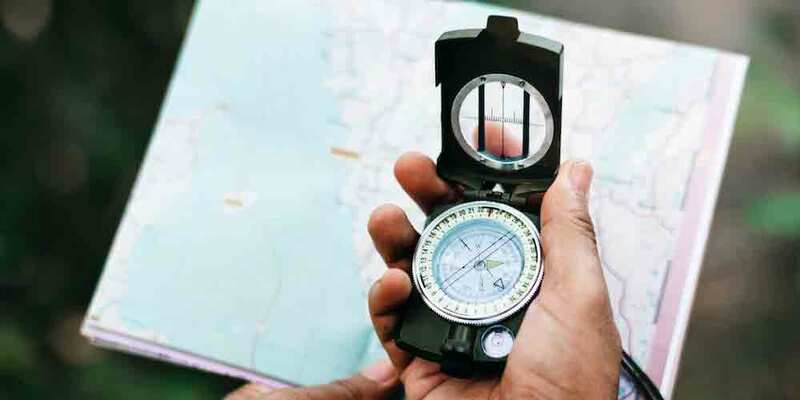 Depending on the kind of travel and exploring you may subject yourself to, there is a chance you may never need to use a compass. 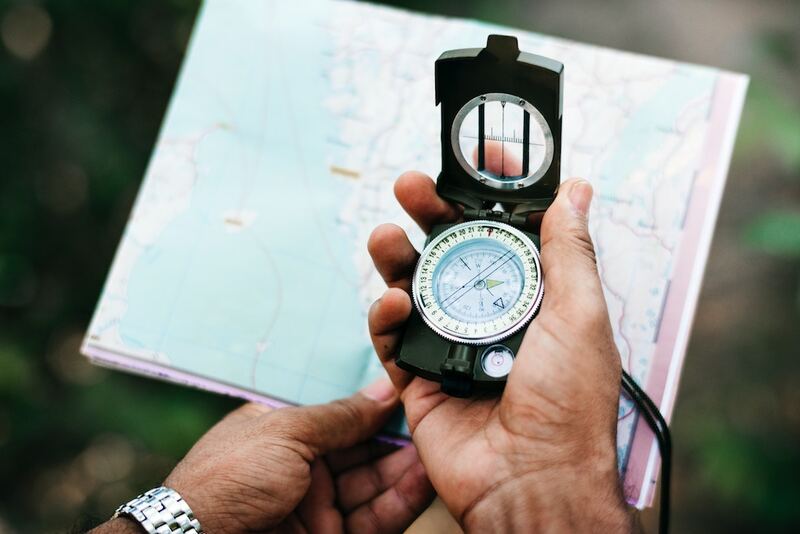 If you are the kind of person who wants to experiment with getting off the beaten path to see something the guidebooks have left out, then having a solid understanding of a compass is essential. I strongly suggest getting to know the functions of your compass and learning how to triangulate yourself on a map while you are in a familiar area first.